Travel sports are all too often a socioeconomic status symbol for parents. For those that truly believe it’s the best thing for their eight, nine and 10 year olds, it’s often a delusion. I’ve seen this in rec baseball leagues, where the focus is packing as many games into a summer season as possible, with little concern for practice time. As someone that’s coached more than 20 youth sports teams, there’s one clear point I can make: development happens in practice. During practice, coaches have time to instruct, develop and build confidence among their players. It’s time spent on what really matters: character and athletic development. Games, on the other hand, showcase what has been learned in practice. If the focus is on the games, it’s a misguided effort. How much emphasis is placed on practice in a travel ball season? How about the select softball team, or the elite basketball team? How does team culture develop on travel teams that have different lineups every weekend because the rosters change so often? How can coaches possibly foster relationships with players? How does winning the weekend tournament translate into youth development? In my opinion, the biggest problem with travel teams is the focus on winning. Of course, we all want to win. But the focus of the players, coaches and parents should have little to do with winning, especially when we’re talking about eight, nine or 10 year old players. I’ve watched entirely too many U10 softball coaches in travel tournaments get bent out of shape because their team lost. All that effort poured into winning a weekend tournament, when it should be put toward developing young athletes. There’s a perception that coaches are better on travel teams, but I think this is also misguided. Anyone can start a travel team and call it top of the line. It takes no special education, no coaching certification, only money. How does that make the coaching better? And though competition is often better, playing time and development are not guaranteed. It’s a big gamble. What’s the correlation between travel sports and playing college or professional sports later in life? Nada. 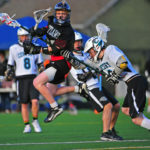 How about the correlation between youth travel teams and college sports? Zip. Travel teams absolutely have their place. High school baseball players that want more work in the summer should play travel. High school basketball players that want to enter college programs should play travel. Notice the trend: high school athletes. 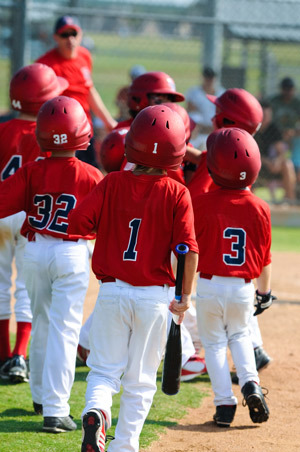 Ask the nine year old softball player or the 10 year old basketball player this question: “Do you want to play sports with your friends from school or would you rather play in travel tournaments most weekends?” You might be surprised by the answer. So, is the choice to play travel ball the young athlete’s decision, or is it a status symbol for the parents? Or do the parents really think it’s the best option for the player?